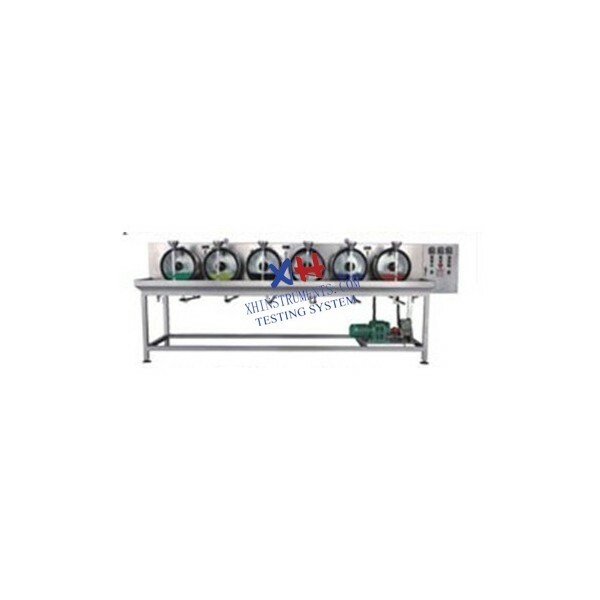 The stainless steel temperature-controlled colorimetric drums consist of six small stainless steel drums, which are all the same type so that six tests can be carried out at a time, thus achieving the best result. Equipped with interlayer heating and temperature controlling system, temperature can be controlled at will to meet the processing requirement. The equipment has the timing functions of controlling total working cycle time , forward & backward rotation duration. The drum speed can be regulated based on the process demand. The observation window is made of fully transparent toughened glass so that operation conditions of the leather in the drum can be clear at a glance .Any drum can be stopped at will during the operation of the drums through clutch system. Water or leather can be fed into the drums during the drums are in operation through loading system. 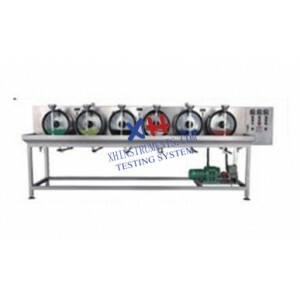 The equipment is especially suitable for comparison test of various leathers in small batch and varieties of leather making.